I adore makeup. There are few things I like more than getting myself fancied up in the mornings. It's a little ritual I get to do every day that makes me feel prettier and more put together. When my makeup is on, I'm ready to face the world — pun intended — and I always wear winged eyeliner and a red pout. For my daytime look, I use a sheer red gloss, and my winged liner is a little more subtle, but still noticeable. But red lipstick can, unfortunately, be pricey. Thankfully, the best drugstore red lipsticks under $10 are more than just easy on your budget — they're also pretty great. I used to be a total beauty snob. I only wore department store makeup and never ventured near the aisles of the drugstore to make my purchases. Then I had kids. Getting on the train and going to Macy's seemed like a huge pain. I began experimenting in the drugstore beauty department, and it's been a revelation. Sure, there are some things I only buy at Sephora or Ulta, but there are a great many more I drop into my incredibly overfull Target cart or grab at Walgreens along with my Ambien and Lysol wipes. To be honest, I had to go through about 50 lipsticks in my collection and more in my memory to make this post. I narrowed it down to the top 10. My go-to evening red. I have really yellow undertones to my skin, and the warmth of this red is perfect. It's also well under $10. I reapply probably twice in a night, but considering the fact I wear this when I'm going to have drinks with my husband or friends, I'd say that's pretty boss. This smells amazing. I know that's weird, but it's under your nose for hours, so I think it should smell good or like nothing at all. This Revlon lipstick in particular smells like fruity tea, so I love it, and it lasts forever. I actually have to wash it off at the end of the night. It doesn't get sticky, and it doesn't get dry. It kisses off a tiny bit, but I'm an aggressive kisser, so it might not be so bad for you. 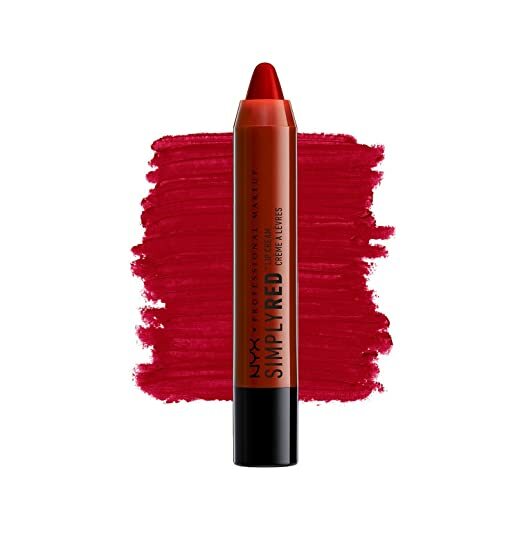 This is a very neutral red and looks just as smashing on my writing partner, who has deep brown skin with a slightly pink undertone, as it does on me. 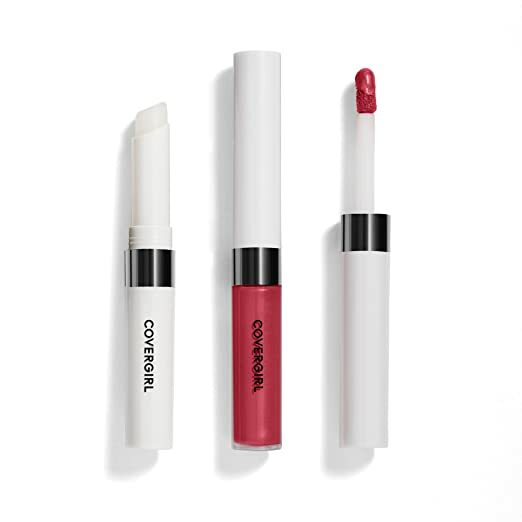 It's like the traveling pants of lipsticks. 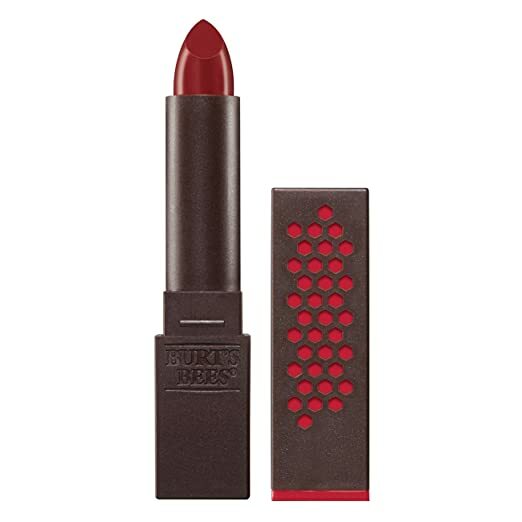 Vegan, cruelty-free, and it makes your mouth look hot. What more could you want? Oh, for it to taste vaguely of coconut Bonnie Bell and leave your lips feeling like butter? You're in luck. This totally does. It lasts several hours without drying, and I get more compliments on these than I do on any others. Thank goodness Target is within walking distance. Rimmel has an almost cult status with my friends. This particular product is favored by many. I love Rimmel lipsticks not only for their price, but also for their deep pigmentation. Cheaper lipsticks are often plagued by a lack of deep pigmenting, but Rimmel has no problem in this area. NYX is one of my favorite drugstore brands, and lately, they've opened up their own outlets in a few malls by me. The NYX Butter Gloss Cherry Pie ($5, Ulta) is a liquid lipstick that just shines. It's decently long lasting, but it's the color that's the real winner. The cherry pie texture looks just like the real thing. My only gripe is that this one tends to gather in the corners of your mouth after several hours. This is a classic. My mother wore a variation of it as a kid. I remember watching her put this on before placing a pair of door knocker earrings in her ears and stepping into black and white loafer pumps. This color is absolutely timeless. It smells like childhood and looks like heaven. This is the most moisturizing lipstick I have ever used. 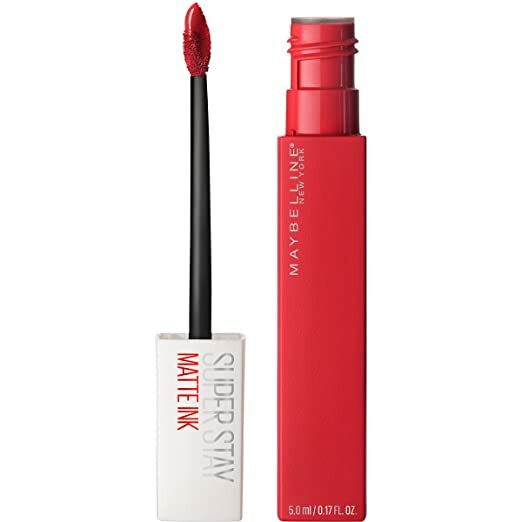 No, it's not the most long lasting, but this is one you'll want to reapply. It smells like crayons to me, and I don't hate it. The color is rich and deep, and I think it brings out the gold tones in my skin instead of highlighting the yellow. Covergirl was the first makeup I ever wore. I heard about this from a drag queen friend of mine who swears by it for long nights in front of a microphone. She's absolutely right. It has serious staying power. After about four hours, it does get a bit sticky, but the color remains. It's a two step moisturizing process, so it's non-drying. I am actually out of this right now, and need to fix that problem ASAP. I don't always love matte lipsticks because they tend to dry, but this one does not do that at all. It's a lovely shade and a lovely lip feel. It doesn't kiss off, and the depth of color doesn't make your lips look smaller, which I feel matte lipsticks sometimes do. This is perfect to stick in your purse and pull out when you need a pick me up. It's smooth, creamy, rich, and gorgeous. You'll love this during your day looks or to go out at night. It's positively lustrous.